Our K-9 Cottage Wood Pet Cremation Urns are solid wood "doghouse" styled pet urns that creates a beautiful indoor memorial for your beloved pet. This pet cremation urn is available in cherry, walnut and oak. Your dog, cat or pet photo can be inserted in the doorway of the doghouse and an optional gold or silver finish nameplate with optional graphic be added above the photo. A wallet-sized photo holder (2.5" x 3.5") completes the door shape. 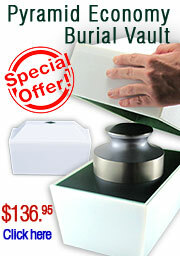 The pet's bagged ashes are installed through the removable bottom which is secured with screws.